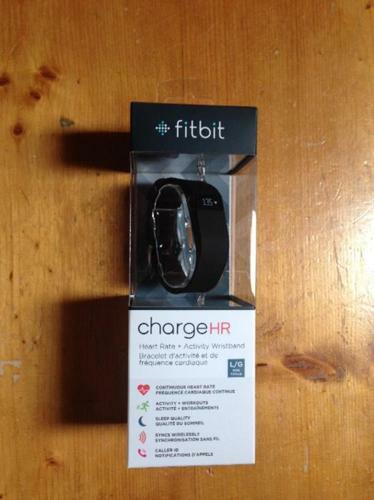 Fitbit Charge HR brand new in box and never opened. It's black and size large. Fits most wrist sizes. Received as gift and have shipping slip and details to verify. Already have one. Sell for a minimum of $199 new plus taxes and shipping. Like new. Black. Includes 2 wristbands, tracker, wireless USB dongle, charging cable, instructions. Easy to set up.